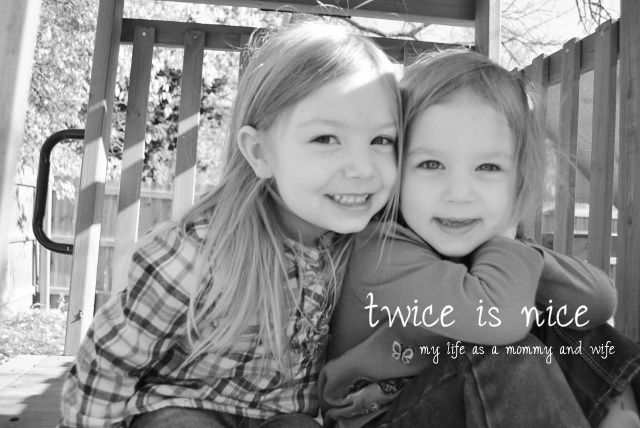 twice is nice: I am a Purex Insider! 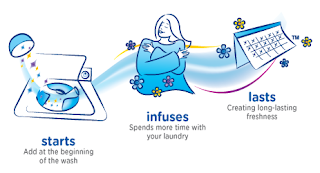 I am a Purex Insider! On 2/28 I received a box from Fedex that said I was a selected to be a Purex Insider (something I applied for online)...I am so excited to share this with all of you! Inside they sent me this really neat box that says "The world of fabric softeners is about to change..." then it has a pic of their new product and its says "Introducing an entirely new fabric softener". The box had a large size version (not just a sample) of their new product called Purex Complete Crystals Softener, a free coupon to buy more later on and info about the product. Lavender Blossom, Fresh Spring Waters (the one I tried) and Tropical Splash. The 6 Sides of Purex Complete Crystals: Soft - Light and fluffy softness, Natural - 92% natural Ingredients, Versatile - for all loads including towels, children's sleepwear, and sportswear, Convenient - Add at the start of the wash, Clean - Free of oil-based softening ingredients found in liquid softeners, Fresh - Scent that lasts for weeks, not days. The smell was wonderful, very "spring - like". As soon as I opened the bottle and poured the crystals in the washing machine the whole laundry room filled with the aroma. I decided to wash a blanket and some of the girls clothes with it...after opening the washing machine and then into the dryer, I could still smell it. After drying, you guessed it - I could still smell it! And now days later I can still smell that refreshing spring flowery smell on their clothes and blankets. It smells so clean, refreshing and makes me want spring to get here even more! Now if you are sensitive to certain smells or maybe allergic to certain things via skin or nose, you may want to try this product out in a sample size, just because you never know. In the info the company provided with the product, they talk about how oil based softeners, which can coat fabrics, making them feel slick instead of soft. 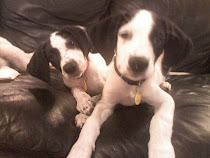 "We've added the videos featuring Purex research scientist (and mom) Dana to www.purex.com. 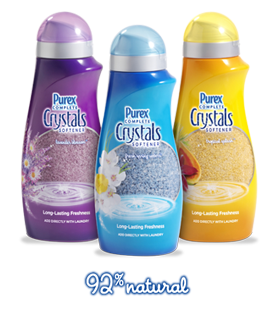 We hope these videos will help consumers understand the drawbacks of oil based softeners and the advantages of 92% natural Purex Complete Crystals. To that end we're having our first Purex Insider COMPETITION see who can drive the most traffic to the Crystals web page on Purex.com. Each one of you will get a unique URL (click on the link) that we want you to tweet, post on FB and post on your blogs. These URL's can be retweeted, reposted... you name it, you can do it! We have some awesome prizes. The contest will run for two week starting Wed., March 3nd and ending at midnight pacific time on Sunday March 13th.